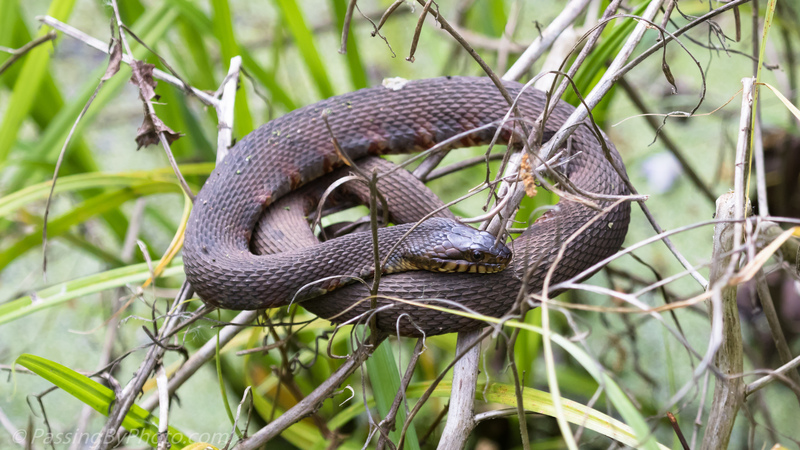 I’m not a snake fan but was fascinated by how this one found a way to stay dry in the swamp. He was about two feet above the water. I would have like to see him getting into this position. Wow, how cool! Great sighting! It was pretty interesting, Donna, and I was happy he didn’t move.